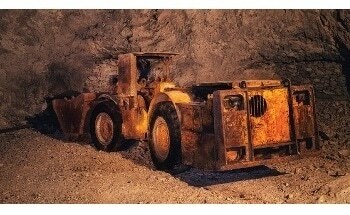 In geochemical analysis, elemental concentration range varies from percent levels to sub-ppm levels. In addition to this, high levels of total dissolved solids, non-spectral interference caused by easily ionizable elements, and spectral interference caused by emission line overlaps, pose challenges even to highly skilled analysts. 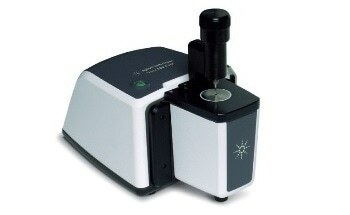 For a long time, Flame Atomic Absorption Spectrometry (FAAS) has been the equipment of choice for geochemical analysis. However, the requirements for lower analysis costs, lower detection limits, improved ease of operation, and enhanced safety make the Agilent 4200 MP-AES an ideal alternative to FAAS. The launch of the 4200 MP-AES has expanded the application range of the MP-AES into the analysis of geochemical samples. 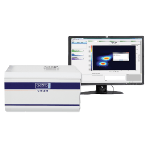 The second generation 4200 MP-AES has a sophisticated microwave cavity, and a torch design, to handle samples containing high levels of dissolved solids with a superior working range and better detection limits than FAAS. This article discusses the base metals (Ag, Cu, Ni, Pb and Zn) results from the analysis of geochemical, certified reference materials using the 4200 MP-AES. An Agilent 4200 MP-AES running on nitrogen was used to perform all measurements. The Nitrogen supply can be from either bottled gas or an Agilent 4107 Nitrogen Generator, which mitigates the challenges in sourcing gases in remote locations, or in metropolitan areas, that face difficulty in the supply of analytical grade gas. A versatile sample introduction system was employed in conjunction with an inert OneNeb nebulizer, a double pass glass cyclonic spray chamber, orange/green pump tubing and a pump speed of 10rpm. This configuration enabled a well-controlled matrix loading to the plasma without compromising detection limits. The instrument runs in a fast sequential mode, while the peltier cooled CCD detector performs simultaneous background and spectral interference correction easily and precisely using the MP Expert software. The method was validated by analyzing two reference materials: GBM908-14 Cu-Zn-Pb Sulphide Ore and GBM398-4 Low grade Cu/Pb/Zn with Laterite. 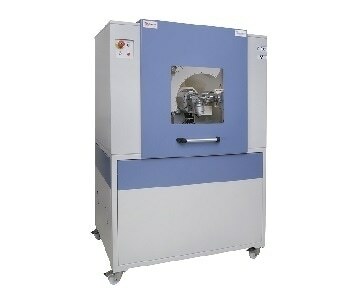 The sample preparation procedure involved a HNO3-HCl-HClO4-HF four-acid digestion, with 0.4g of nominal sample weight. The mixture was heated to near dryness and subsequently cooled. The digest was taken to a 100 mL final volume with 30% HCl solution, reflecting a 250x nominal sample dilution. This four-acid digestion method yields near total digestion of samples for the analysis. All calibration standard solutions were made in 6% HNO3 and 19% HCl. Table 1 summarizes the emission line selection, background, and interference correction techniques utilized. The selected wavelengths offer wide dynamic range and minimal spectral interference, thus avoiding time-intensive sample dilutions and reanalysis. Orange/green tubing was used to deliver an internal standard solution of 10mg/L lutetium, and the sample tubing was connected using a Y-connector. A linear curve fit was applied for all wavelengths. The 4200 MP-AES provides continuous wavelength coverage across the available wavelength range. Appropriate analytical wavelengths were selected with the help of the extensive wavelength database of the MP Expert software to determine any possible interference. Agilent Fast Linear Interference Correction (FLIC), in conjunction with conventional inter-element corrections (lECs), was used for the samples examined in this matrix. Conventional inter-element correction (IEC) was used to correct multiple line interferences on Ag 328.068nm. The IEC factors were established using user-friendly steps built into the MP Expert software. The concentration of interferent standards was chosen to reveal the concentration of interferents in the samples. Spectral interferences from Al, Ti, La and Sr were corrected using FLIC models for Zn, Cu and Lu. Ni and Ti interference on Lu, as corrected by FLIC, is presented in Figure 1. The FLIC sequence matrix for running the blank and single element analyte and interferent standards are listed in Table 2. Further IEC corrections and FLIC models can be generated easily in the MP Expert software to correct the spectral interferences from other elements present in the samples. Table 3 summarizes the results of the two reference materials using the MP-AES. Method detection limits were identified by examining 10 replicates of acid digested method blank under method conditions. The MP-AES results fall within ±10% of certified concentrations. The results clearly demonstrate the ability of the MP-AES to measure silver at low levels by using IEC for spectral interference correction. Remarkable recoveries shown by elements such as Cu and Zn across a broad concentration range (0.39% to 2.37% for Cu, and 0.51% to 4.27% for Zn) demonstrate that the MP-AES is capable of measuring samples over a wide dynamic range. Table 3. MDL and recoveries for reference materials determined by the 4200 MP-AES. All results shown for the solid sample. 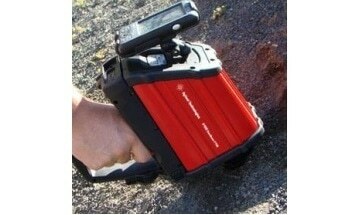 The results clearly show that the MP-AES is an ideal instrument for challenging geochemical sample analysis. The advanced waveguide and torch generate plasma to determine elements at a wide concentration range, from percent levels to ppm levels. The continuous wavelength range and extensive wavelength database enable selecting appropriate wavelengths that extend the working range and alleviate spectral interferences. 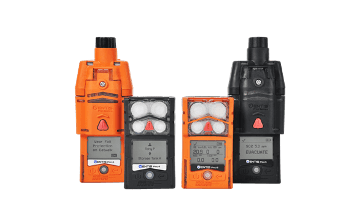 The avoidance of hazardous gases, like acetylene, makes the MP-AES a safe and cost-efficient solution that can be run unattended and in remote locations. This information has been sourced, reviewed and adapted from materials provided by Agilent Technologies. For more information on this source, please visit Agilent Technologies.